This house and farmland was part of a larger vegetable operation that has since stopped production. This is an agricultural community with lots of farming neighbors. 30 minutes to markets in Bangor and Waterville and less than 10 minutes to the highway. Quiet, dead end road and all the structures are in great shape. Classic center hall, stylish 3 bedroom, 1.5 bath cape built in 1991. Newly painted and refinished hardwood floors; skylights in 2 bedrooms, fireplace in living room. Open design concept with dining and kitchen with wood stove on brick hearth is open to bank of atrium doors to very large rear deck. First floor office or study just off the entry. 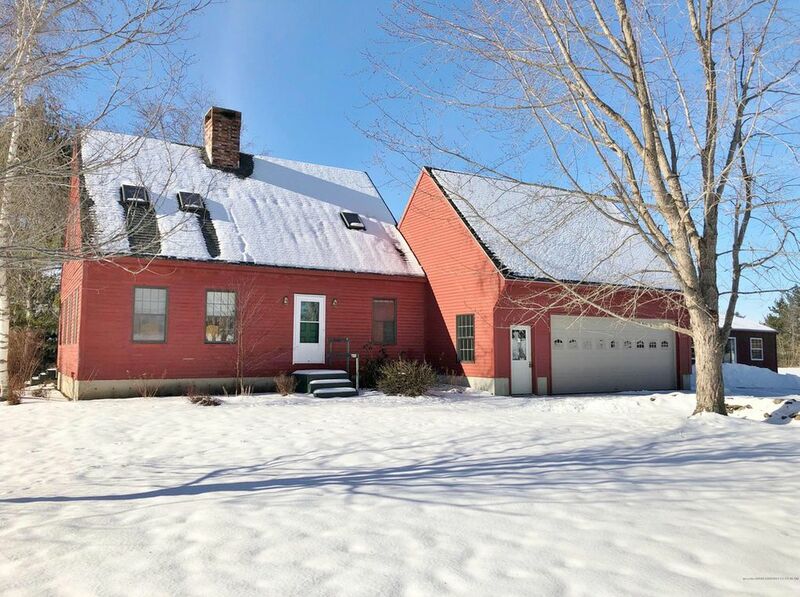 Over-sized 2-car garage with full overhead storage was added in 2012; 14x36 studio with propane heat; 24x36 barn with water and electricity was built in 1993+-. Mature gracious landscaping with winding stone wall flanks the driveway leading to the main entrance.